The other night, I was in need of a pair of earbuds, for private music listening. My dear daughter handed me multiple pairs, and each one was broken, from not taking care of them. 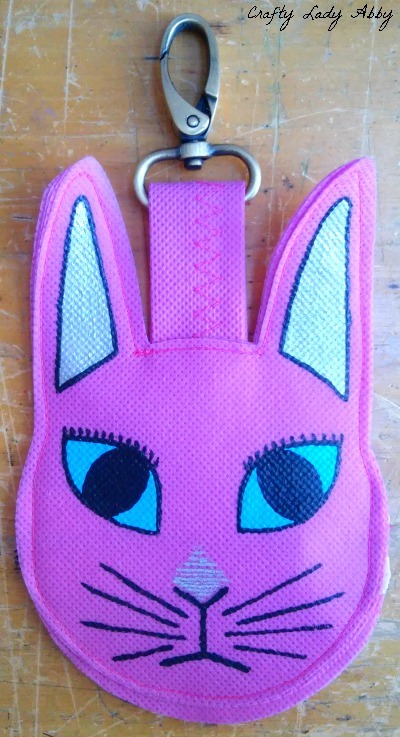 To keep up with her earbuds better, I designed a little rabbit purse that clips onto a belt loop, or bag. It can hold earbuds, coins, chapstick, or other small objects. Made a little bigger, it can hold an ID and debit card. I plan on making a sturdy wallet with Fairfield World OlyFun, inspired by one my brother made, and a new one my husband purchased. 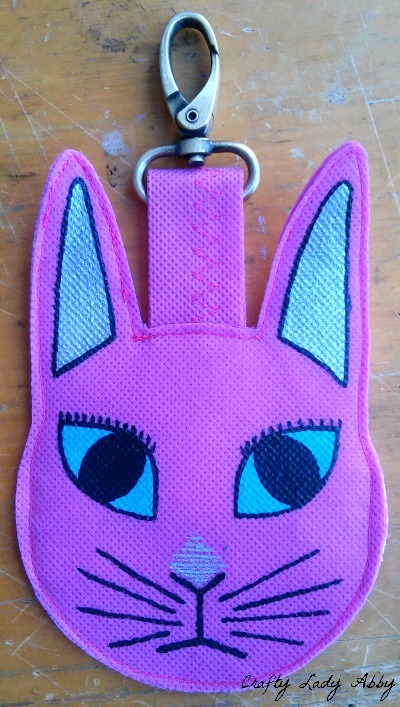 A possible ID holder is also on my very long project list. My daughter only uses earbuds with her school laptop. If you use a phone, cut two small holes on the back of the ear layers, to slip the earbuds and plug through. This will keep your excess cord wrapped up nicely. You can slip the Dritz swivel hook to a jacket, or zipper too, making it handy for suits, work out jackets, and hoodies. I chose a bunny, but you could opt for a different animal, or just a circle...but come on, the bunny is cool! These are Amazon Affiliate links. Any purchases made using these links, will result in Amazon paying me a small commission. 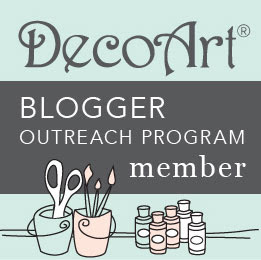 This covers craft supply and other costs. Fairfield World provided me with the OlyFun for this project. 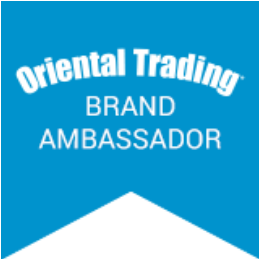 Dritz supplied me with their products for this project. My zippers are vintage metal zippers, so I chose ones on Amazon that could work for this project. 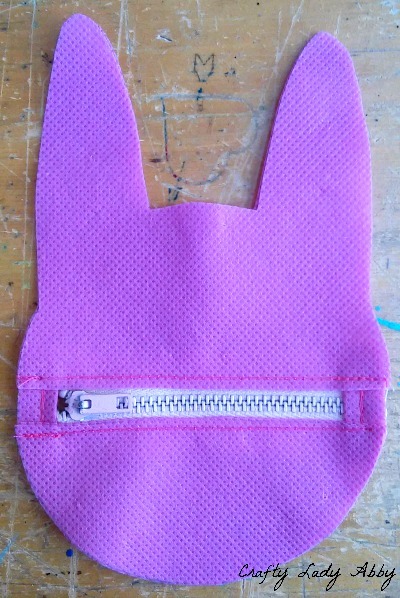 You need a non-separating zipper, but the length will be hand cut down. 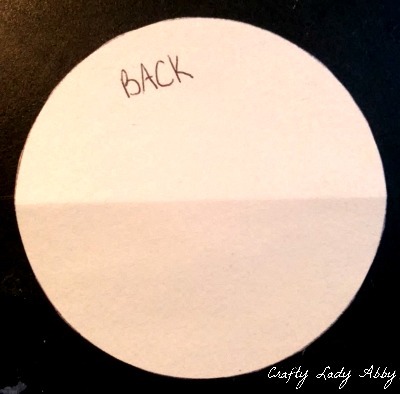 Cup or flat circle item - To trace, but a math compass works too. 1) I choose a rabbit, in honor of Leap Year and Easter. You could create different animals instead. Keep the details simple, for easy making. Set the cup lip (top) onto the construction paper. Trace the cup lip with pencil or pen. Draw your animal's face and ears on and around this circle. Define the outline with pen. You'll see later, I changed the face. Cut out the rabbit head pattern with paper scissors. 2) Trace the cup a 2nd time, in a separate part of the construction paper. Cut out the circle, with paper scissors. Fold it in half and crease it. Cut it in half along that crease line, with paper scissors. 3) Fold over a section of Bubblegum OlyFun, a little wider than the rabbit head width. Trace the full rabbit head, on the OlyFun, with pen. Use straight pins to secure the layers. 4) Fold the bottom of the rabbit head up in half. Trace the half circle and half bunny head onto the OlyFun, with pen. Use straight pins to secure the layers. Use fabric scissors to cut out the shapes. 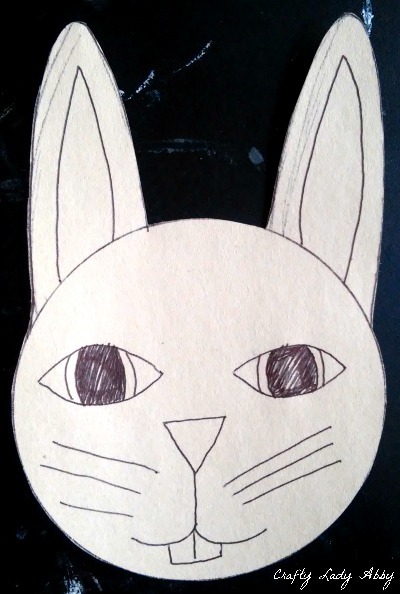 5) On one full rabbit head, lightly draw out the eye and ear outline, with pencil. Lightly draw the nose, mouth and whisker lines, with pencil. I altered my rabbit face, to better reflect a real rabbit, which has slanted eyes and a more delicate nose. 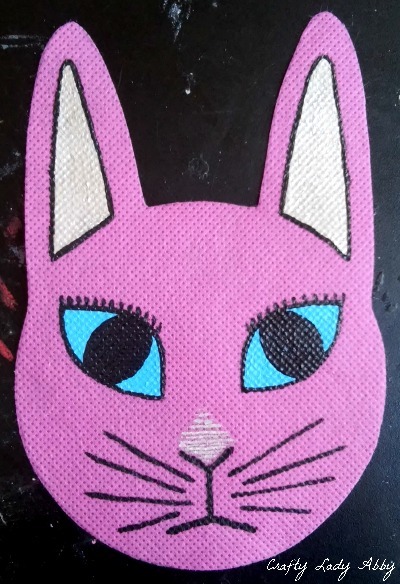 With white fabric paint and the detail paintbrush, fill in the ears and eyes. They need 2-3 layers, to be opaque and block out the pink. Let the paint dry between layers. Mix a tiny dot of black into a small dot of white, to make a light grey. Paint the ear grey. When the ears are dry, paint them silver. When the silver is dry, carefully outline the ears in black. Paint the eyes turquoise, with the detail paintbrush. When the turquoise is dry, carefully paint the black details. With the black paint and detail paintbrush, carefully paint over the pencil lines for the nose, mouth, and whiskers. With a little leftover grey, add soft stripes above the black nose, in a diamond. 6) Cut a rectangle of Bubblegum OlyFun 3" by 6". Fold it over in thirds, so the rectangle is now 1" by 6", to make the hanging piece thicker. 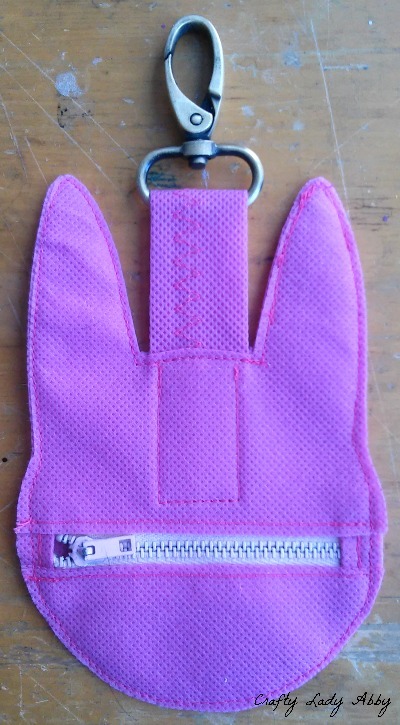 At the sewing machine, load it with pink thread. Zig zag stitch down the middle of the folded rectangle. Slip the folded rectangle through the swivel hook hole. Match the ends and straight pin in place. Set this aside for now. 7) Cut your zipper down to a little longer than your circle diameter. Mine is 3.5". Cut 2, 1" squares of Bubblegum OlyFun. Fold the squares in half. Straight stitch them onto the zipper, with the long cut ends meeting the zipper ends. Sew across multiple times, to secure the pieces well. 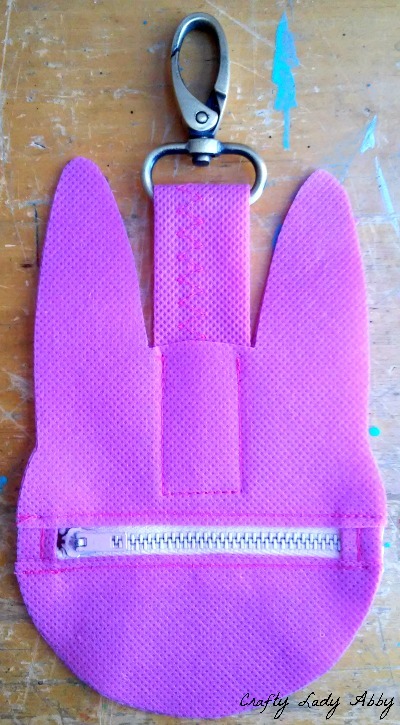 This will prevent the zipper pull from coming off the track, and make the finished purse look nicer. 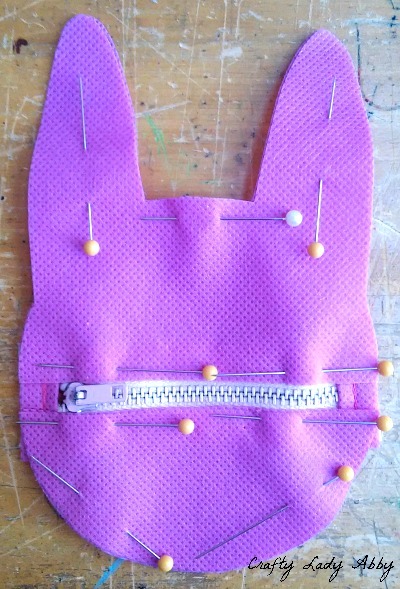 8) Line up the two sets of back layer on either side of the zipper. Pin the zipper in place. 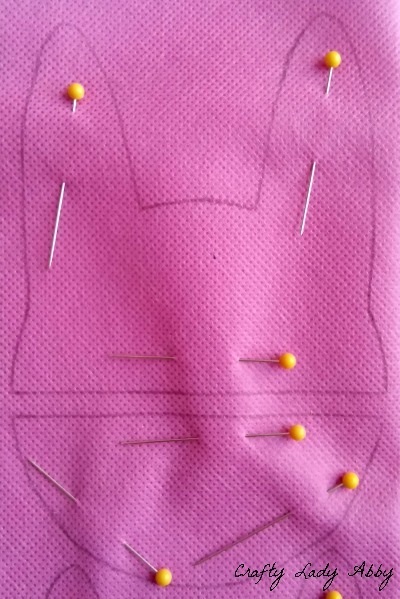 Pin the layers together, so they don't slip around while sewing the zipper. 9) Add the zipper foot to the sewing machine. Straight stitch the zipper in place, backstitching at the beginning and end. 10) Switch back to your normal sewing machine foot. Slip the hanging piece in between the two bunny ears layers. Pin in place. Straight stitch around the sides and bottom of the hanging piece, through all the layers. The top will be sewn in the next step. 11) Straight pin the front layers to the back layers, matching up the ears. Some of the bottom back piece will be longer than the front. We'll trim this later. 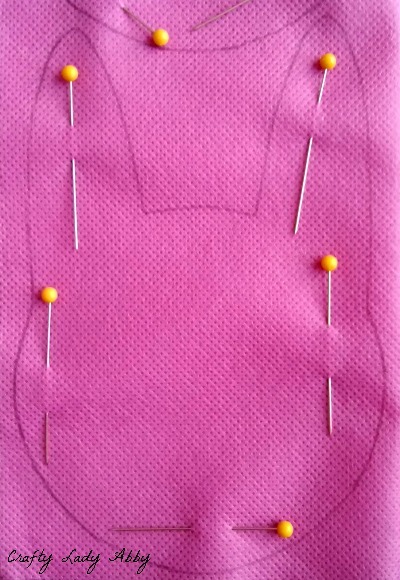 Straight stitch around the entire bunny head, being carefully as you stitch over the zipper and around the ears. Make sure to catch all the layers together, in one pass if you can. I had to restitch one ear, because I missed one layer on the back. 12) Trim the edges to match, making sure not to cut through any stitching. This it what the back looks like. 13) Clip the swivel hook onto your pants, jacket or back. Coil your earbuds inside, or insert something else. That's all for this project. Like I mentioned, you can choose any animal you want. This could even be a different shape. Amoeba anyone? OlyFun comes in 18 colors and 4 metallics, making a plethora of color combos. If you go the metallic way, you only need one layer of each piece, because the foil coating makes the OlyFun stiffer. OlyFun cuts like paper and doesn't fray, so there's no edge finishing needed. This would make my horrid college professor throw a fit. 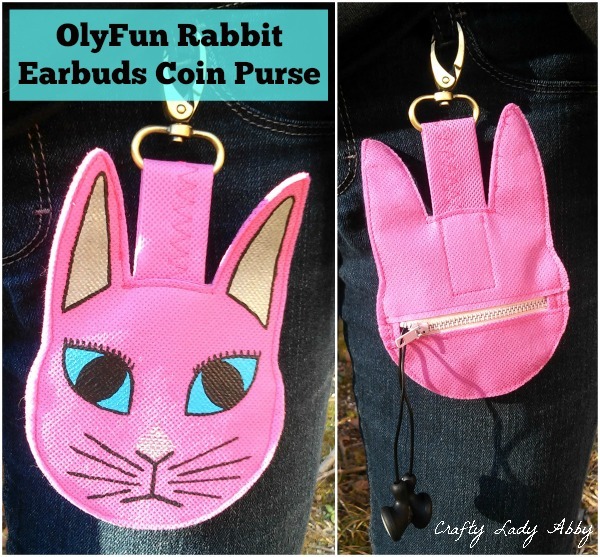 OlyFun makes it possible for me to make wacky fabric projects and skip the edge finishing. I hope you all have a wonderful Leap Day! For all of you with birthdays and anniversaries today, see you in 4 years, when you're another year older. Happy Makery!